Got distracted and my Bacon Balsamic Brussel Sprouts spent a little too much time in the oven. A little crispy, but still tasty none-the-less. Winged the recipe this time. 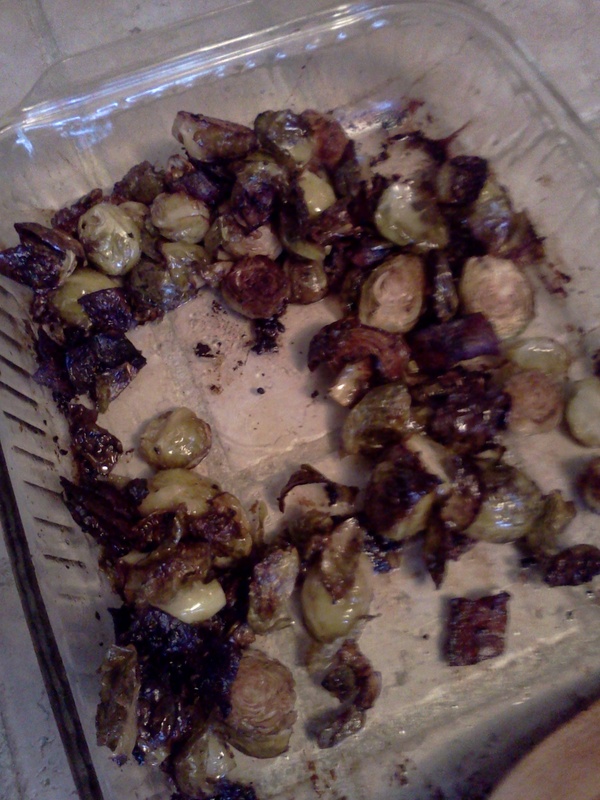 Prepped bacon via the Perfect Bacon Method, recycled bacon grease to cook halved brussel sprouts. Added a little more olive oil and couple of shots of good balsamic vinegar. 30 minutes in the oven at 400° F. Probably should have pulled them at 25 min, or maybe same time at 350° F instead.